The Human Vaccines Project and Vanderbilt University Medical Center (VUMC) announced this week that they joined forces with Illumina Inc. to decipher the human immunome, the genetic underpinnings of the immune system. Illumina will provide the genetic sequencing technologies and expertise required to process the massive amounts of data required to decode the human immunome. The Human Vaccines Project is a public-private partnership of academic research centers, industry, non-profits and government agencies that aims to decode the human immune system to accelerate development of next-generation vaccines and immunotherapies. A core initiative of the Project is the Human Immunome Program, an internationally led effort by Vanderbilt University Medical Center to determine key principles of how the human immune system prevents and controls disease by illuminating the complete set of genes and molecular structures known as the human immunome. The launch of the Project’s Human Immunome Program was announced in June 2016. The long-term global study, which is coordinated by the Vanderbilt Institute for Clinical and Translational Research, will genetically sequence the receptors from B and T immune cells from individuals varied by age, gender, genetics, geography and disease states. Results will be shared as an open-sourced database to the global scientific community. “Sequencing the human immunome is the next frontier of genetic medicine. This important collaboration with the Human Vaccines Project and Illumina marks an exciting step in Vanderbilt’s distinguished history and leadership in vaccine research and personalized medicine. 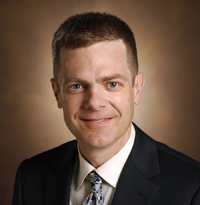 Insights about the genetic underpinnings of the human immune system gained from this study will help guide future generations of biomarker and therapeutic development,” said Jeff Balser, M.D., Ph.D., president and CEO of VUMC and Dean of Vanderbilt University School of Medicine.